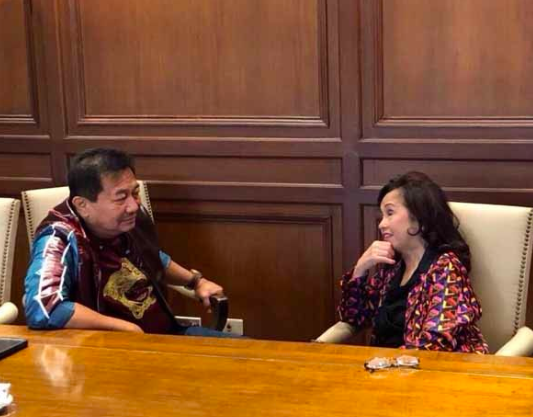 The new Speaker of the House of Representatives, Pampanga Congresswoman Gloria Macapagal-Arroyo has met with her predecessor Davao del Note Representative Pantaleon Alvarez Wednesday morning. The meeting is evidenced by a number of photos released at the House of Representatives. According to sources, the said meeting occurred two days after Alvarez was ousted as House Speaker by his colleagues in the Congress through what was deemed as a "congressional coup". This has caught Alvarez off-guard on Monday, likewise the date when President Duterte was to deliver his third State of the Nation Address. 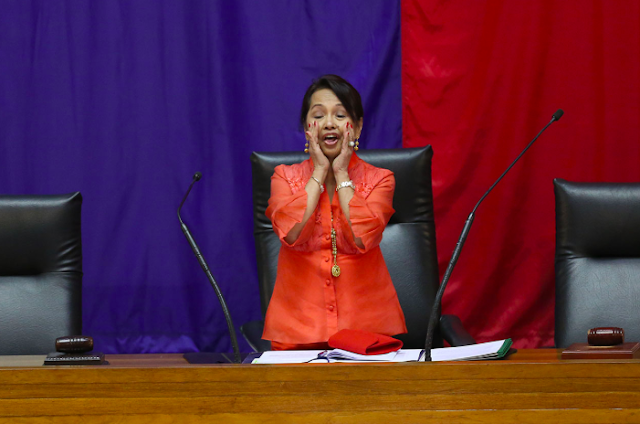 Arroyo's assumption as the new house Speaker came about after 184 House members voted on her favor. This is 37 votes more than the required 147 votes she needed to gain the speakership. On the same day, the session hall was filled with squabbles of the dealership which almost led to President Duterte, who was in the session hall that moment, to leave. The so-called "House drama" subsided only when Camarines Sur Representative Rolando Andaya announced that at least 161 members from the majority coalition had met and came up with an urgent decision. Suddenly however, Andaya's microphone was shut off. Without a microphone, Rep. Andaya kept on speaking. After him was Davao City Representative Karlos Morales who proceeded with the roll-call. Simultaneously, members of the House began to huddle around Arroyo who was then accompanied Deputy Speaker Fredenil Castro of Capiz up to the rostrum for her oath-taking. Arroyo, confronted with a dysfunctional microphone, was urged to shout on the session hall. 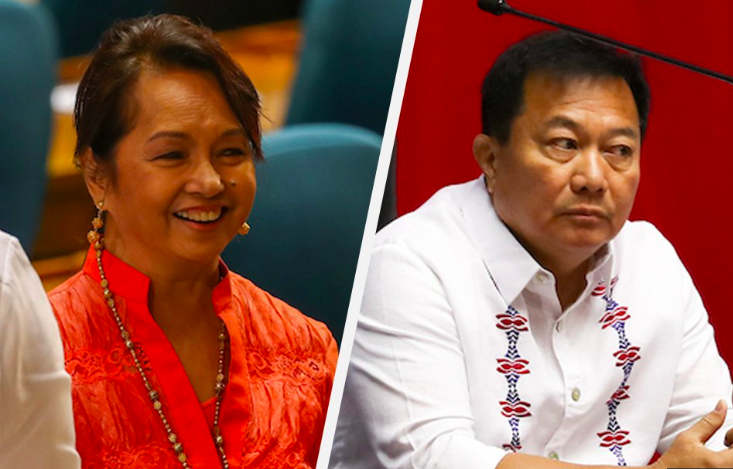 To give way for the President's SONA, the session halted and members reconvened again at 7 pm to pave a way for Arroyo's official assumption as the new House Speaker.